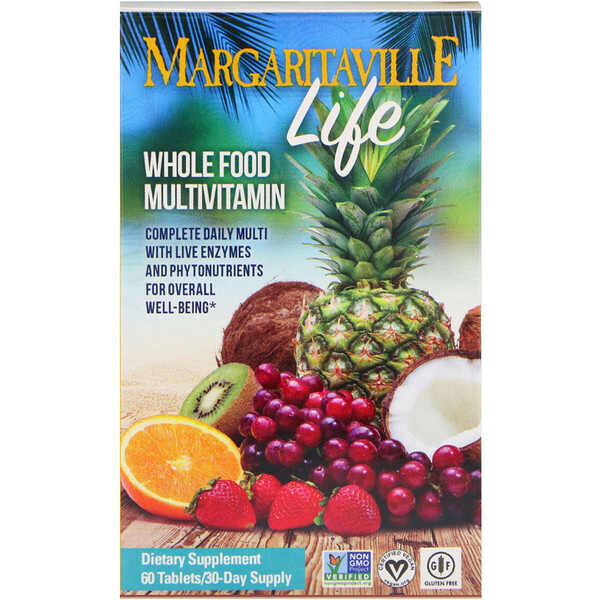 Margaritaville Whole Food Multivitamin tablets pack health-boosting, high-potency vitamins and minerals into a unique and convenient formula. 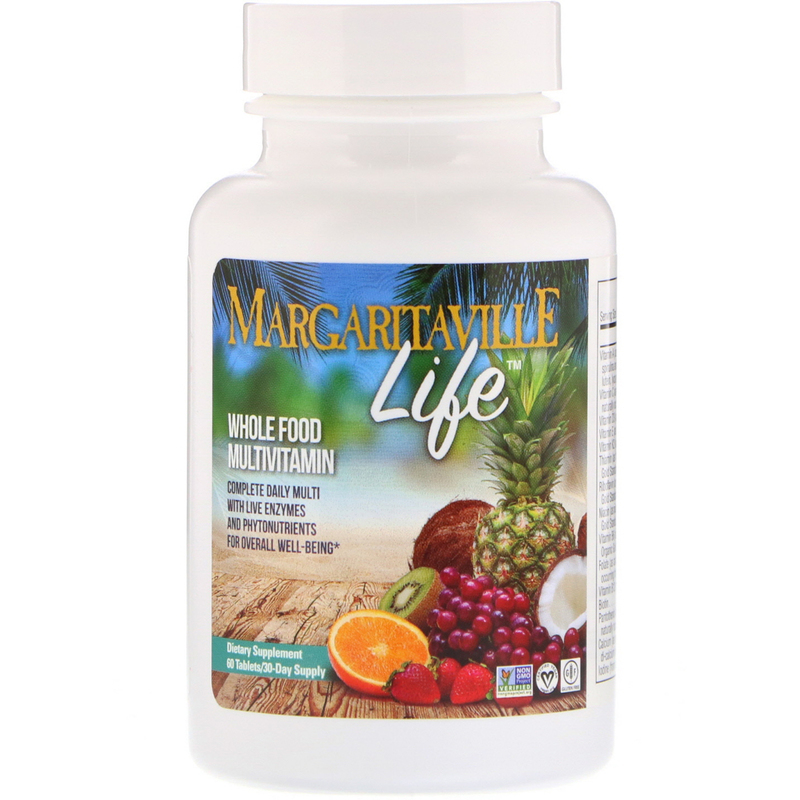 Natural whole foods and specialized nutrients, such as live enzymes, cofactors, antioxidants, probiotics and more, improve nutritional benefits beyond those of common supplements. 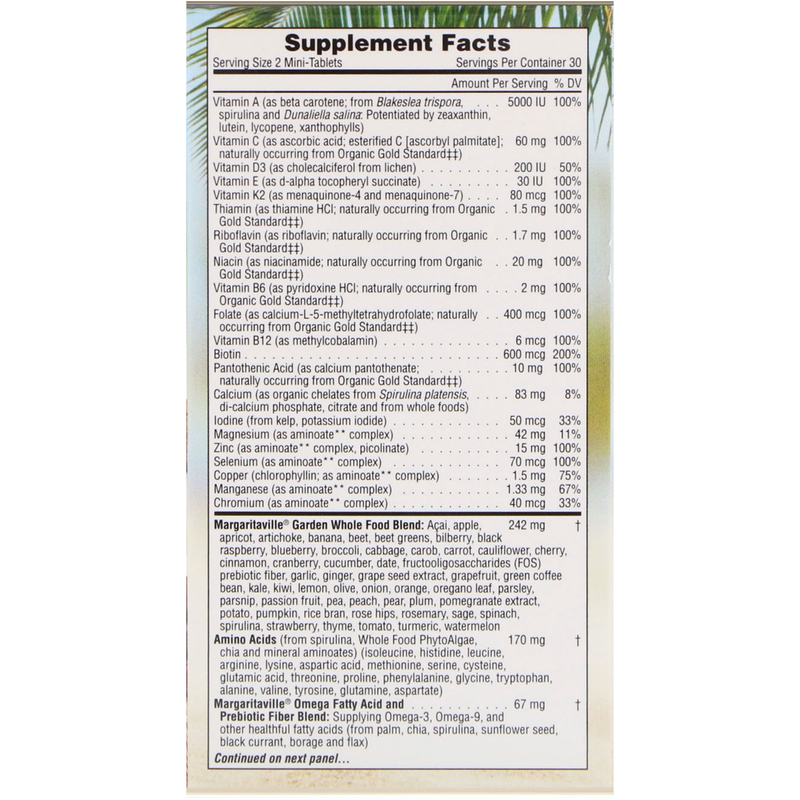 As a dietary supplement for Adults, take 2 tablets daily. Vegetable cellulose, di-calcium phosphate, microcrystalline cellulose, magnesium oxide, stearic acid, magnesium stearate, silica and pharmaceutical glaze. † Daily Value (DV) not established. Not a significant source of Potassium. ‡‡See Multi Color Whole Food Blend.